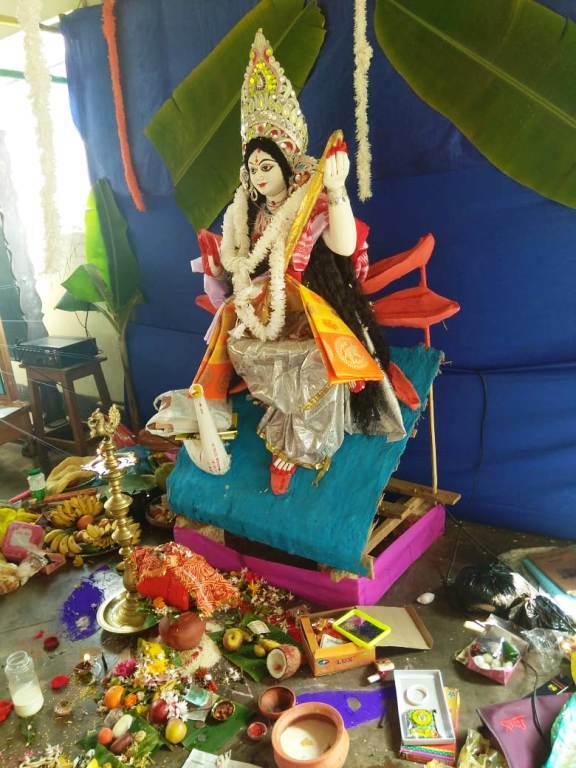 VKV Umrangso performed Saraswati puja to seek blessings from the Goddess of learning. It was celebrated in a grand way. The puja started at 8:00 AM in the morning at Activity Hall. Sri Santosh Dubey (TGT Sanskrit) performed the puja according to Vedic rites. Students throng at the Puja Mandapa to offer Pushpanjali. A special arrangement was made for the students of classes X and XII to offer Pushapanjali at the feet of Saraswati. All the students, parents, the guests and many others were given Prasad and kichudi to their heart’s content. There were more than 1500 people on the occasion.